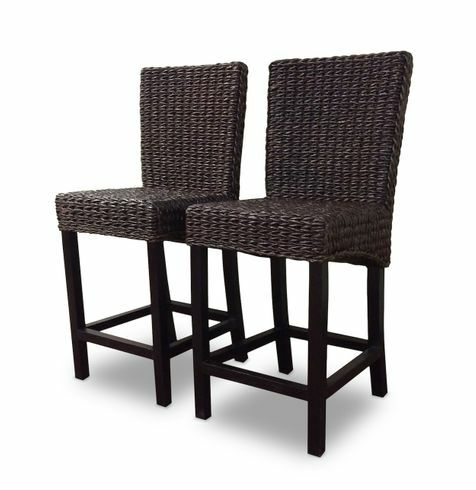 The pair of Barbados seagrass counter stool is an eclectic combination of woven seagrass finished in a brown finish on a mahagony wood frame. The seagrass is woven on a wood frame and matches the Barbados dining set and dining chairs. For those who look for a cohesive look we recommend using the Barbados seagrass bar stool with the matching Barbados sectional seating group or the dining.